Most church vision and mission statements sound great. They usually include clear biblical values and are crafted to be interesting and memorable. But what difference do they actually make? Recent research suggests that rather than value statements shaping our behavior, our actions can actually shape our values. Aristotle once said, “We are what we repeatedly do.” And the apostle James says, “Show me your faith without deeds, and I will show you my faith by my deeds” (Jas. 2:18). 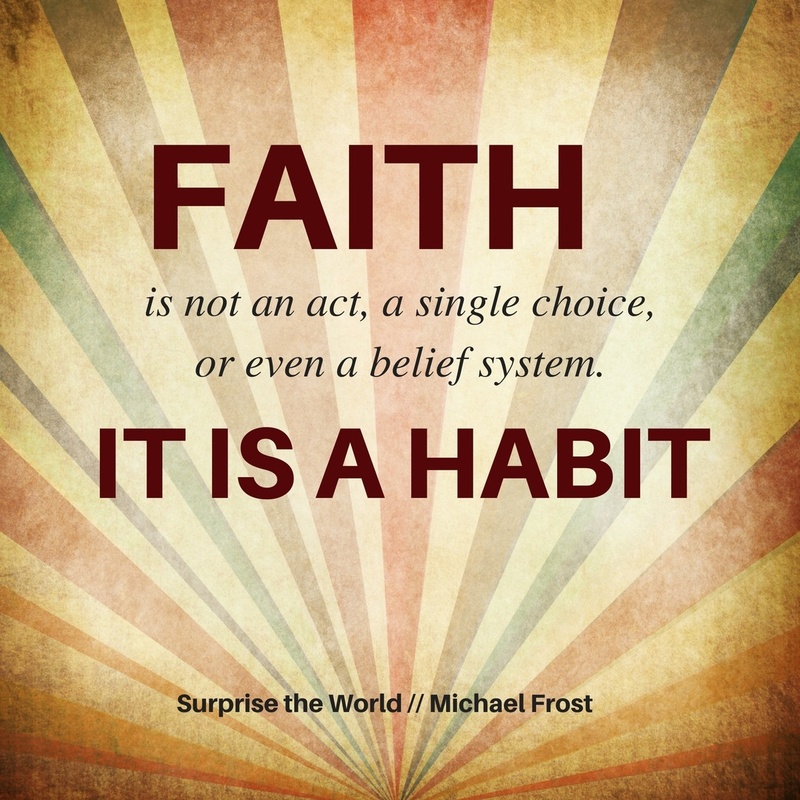 Faith, then, is not an act or even a belief system; it is a habit. French philosopher Pierre Bourdieu referred to this phenomenon as habitus. In his view, the practices and actions that a society endorses in turn shape the way members of that society think. For example, desirable milestones such as getting married, building a career, buying a house, and raising a family reinforce American values of monogamy, professionalism, home-ownership, and reproduction. Not everyone lives out each of these practices perfectly, but they are expected societal practices nonetheless, shaping the way American people think, feel and act. They are examples of an American habitus. Habitus is, I think, a much overlooked aspect of discipleship. Have we been focusing too much on transferring values to the exclusion of passing on missional habits? Missional habits are those practices we nurture in our lives that unite us as believers, while also propelling us into the lives of others. The best missional habits become rhythms that energize us, replenishing our reserves and connecting us more deeply to Jesus. We will journal the ways we were sent to mirror the work of God in our world. We find that we rarely need to preach on these values, because they have been unleashed by the habits themselves. If you commit to a habit of blessing three people every week, you’re going to become a generous person. If you eat with others, you’ll develop a greater capacity for hospitality. If you foster the habit of listening to the Holy Spirit, you’ll become an increasingly Spirit-led person. If you’re learning Christ, it’s fair to assume you’ll become more Christlike. And if you’re journaling the myriad ways you’ve been sent into your world, you’ll increasingly see yourself as a missionary right in your own neighborhood. If you want a church full of generous, hospitable, Spirit-led, Christlike missionaries, don’t just teach the values. Foster the habits! 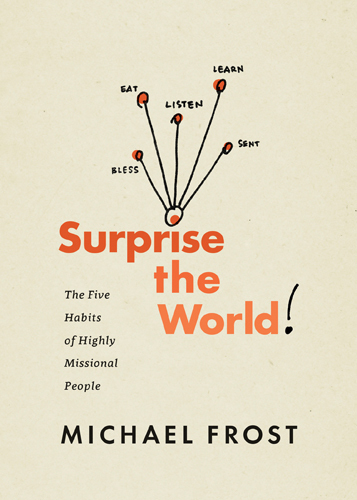 Michael Frost’s Surprise the World: the 5 Habits of Highly Missional People is available now.